Walter Benjamin (1892-1940) was among the most important intellectuals of this century: a seminal critic and philosopher. He has, in the past three decades, acquired almost cult status in the academic world. 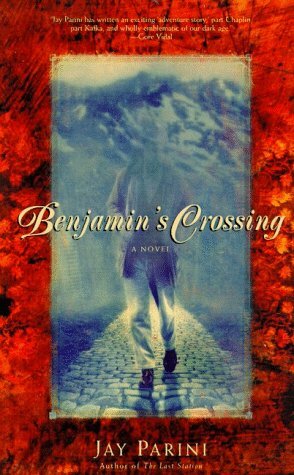 In Benjamin's Crossing, Jay Parini tracks Benjamin through his last, terrible months. The story opens with his desperate flight from Paris, on the heels of the Nazi invasion in 1940. It depicts his various, often tragicomic, attempts to flee France, culminating in his frantic escape over the Pyrenees into Spain. Benjamin's Crossing is a lyrical novel of ideas. It is also a love story dramatizing one of the most moving peripheral episodes of the Holocaust.